Last week the Wednesday Walkers were invited to tour the 800 acre farm of John Garton in Fern Flat. 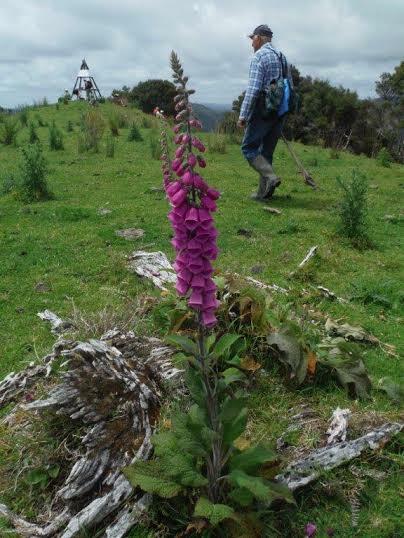 Some 6 or 7 years ago John gifted 105 hectares of regenerating hill-country native bush as an open space covenant of the Queen Elizabeth II National Trust —a generous move on the part of a farmer whose family has owned this land for 94 years. John, who turns 80 next year, guided us on a walk that would have exhausted many a younger man. He shared stories from his youth, noting the incredible community spirit that once enveloped the rural area he called home. ‘Whenever a house was sold, the whole community would hold a farewell party for those leaving,’ recalled John. Then, a week after the new people had moved in, the process would be repeated so that the newcomers had a chance to meet all their neighbours. The social fabric of the community was strong and the nature of life resulted in strong, fit people. Children either walked or went on horseback to and from school. Couples met at the regular dances held in the community halls of the area. John expressed concern that young people growing up today don’t have the benefits of the strong community bonds of yesteryear. Something to think about. 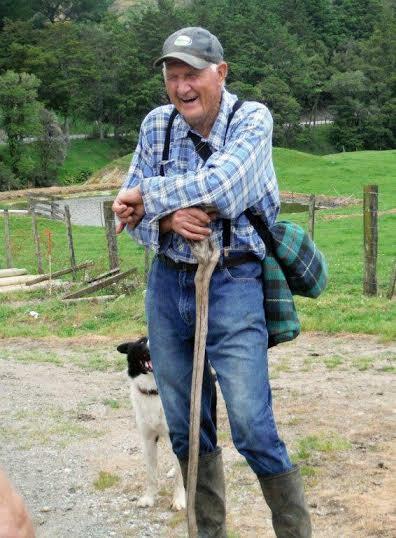 John Garton and his faithful farm dog. 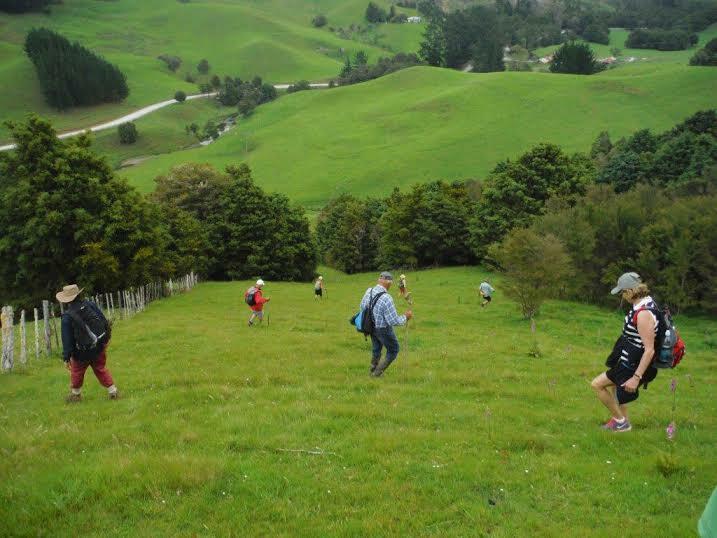 Trudging up and down the steep hills of the family farm must have played a part in keeping John fit. Despite being on his second pacemaker he is still able to shear 100 sheep in a day. While preparing this post I browsed the Queen Elizabeth II National Trust website. I came across a story I have repeated to many others. A very inspiring story. Robert ‘Mútt’ Lange, a successful songwriter and music producer, and ex-husband of Shania Twain, has gifted 53,000 hectares to Queen Elizabeth II National Trust as an open space covenant. In essence he has gifted New Zealanders a block of land 10 times larger than any other open space covenant ever given in New Zealand. Why, you might ask? Because he wants to make a difference. 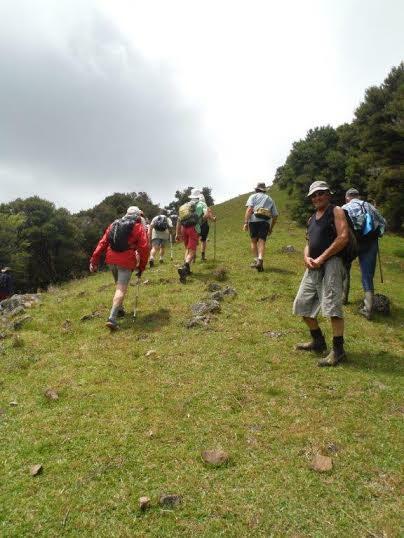 He has a team of people who have thus far eradicated 7,500 feral goats and are planting around 12,000 native trees and plants a month in the 8-9 months each year that allow planting in this mountainous part of the South Island. Please click below to see a six minute clip on Campbell Live. I hope you are as inspired as I am. Here’s a man who cares and who is putting his money where his mouth is. What a great example some of our empire-building leaders could learn from. Who’s next?